New Delhi, Oct 8 : Veteran filmmaker Shyam Benegal last directed a feature film titled "Well Done Abba" that released in 2010. A few years later, he made a mini-series, but is yearning to make a film again. Benegal began his career in advertising and graduated to documentaries and short films. He made his directorial debut in 1974 with "Ankur" that fetched him a National Award. He continued to make award-winning movies like "Manthan", "Junoon", "Arohan" and "Trikal". 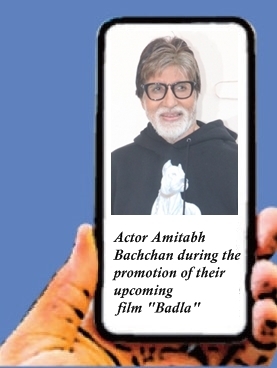 "I also made 'Samvidhaan', a 10-part series on the Indian Constitution, then I did 'Jang-e-Azadi', which was a 90-minute film on the history of Punjab," Benegal, 83, told IANS in a telephonic interview. His list of achievements is undoubtedly an exhaustive one. He has bagged the prestigious National Film Award multiple times and has been conferred with a Padma Bhushan, among various honours. What else does he want to do? "I want to make a film," he replied. But what are the struggles that he is facing in making another film? "The point is that it has to... people who want to put money into it, should want to be a part of the same film that I want to make and not tell me that I should change it. These are the things that happen," said the veteran. "People say 'Yes, it is a wonderful subject but why don't you do this or that?' Naturally, there comes a time... after a point yes, but not beyond that. What I want to make, is what I want to make." He has "a couple of scripts ready". "They are both feature films. One of them can eventually become... if somebody desires it to be, it can become a web series. It's a chase that takes you all over the country. The other one is based on Radha Krishna theme," he said. Meanwhile, Benegal will be honoured with the Excellence in Cinema Award India for his immense contribution to the Indian film industry, at the Jio MAMI Mumbai Film Festival with Star on October 25. "I don't know why MAMI thinks I am deserving of this award. I am a bit embarrassed. It's an organisation that I was part of. I have been with MAMI since the beginning," he said. In fact, he calls himself "irrelevant". "When you get awards when you are no longer relevant, you feel a bit embarrassed. I am going to be 84 by the end of this year. I hope that I keep reasonable good health for the next year or two at least," said Benegal. He might feel embarrassed in accepting the award, but he is delighted with the work done by Kiran Rao, Chairperson, MAMI Mumbai Film Festival, and Anupama Chopra, Festival Director, MAMI Mumbai Film Festival. "They have made it into a much better festival than it ever was. The festival has grown. It has become as good as any international film festival anywhere in the world. It's a very good festival and attracts very fine films from across the world," he said. Mumbai Academy of Moving Image (MAMI), a non-profit organisation, was founded in 1997, and he has been associated with it since the fest's inception.